With help from AVH – Accessible vehicles to help you get to the Games! Glasgow hosts the 20th Commonwealth Games in its city from 23rd July to 3rd August 2014 and it is to be the biggest multi sport event ever to be held in Scotland, Glasgow previously hosted the Games in 1970. The events taking place include:- Athletics, aquatics, netball and rugby sevens. It is also proposed that the games will also hold Integrated Disabled Competitions which include events such as swimming, athletics, cycling and table tennis. Andrew Lindsay one of Great Britain’s disabled swimmers said ‘ disability sport is an integral part of the Commonwealth Games and I know Glasgow will do a brilliant job creating awareness for the disability events that take place in 2014 (Disabled World, 2013). Any accessibility requirement should be noted on your ticket application. 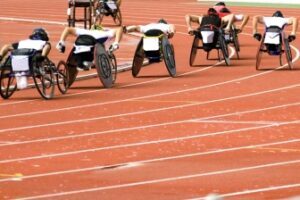 Here at Adapted Vehicle Hire we are committed to ensuring that those needing mobility support to enable them to attend such events as the Commonwealth Games or visit the many attractions Great Britain has to offer, can do so with ease. Our fleet of vehicles can be fully adapted and bespoke to our customer’s needs. Available on a variety of terms, from short one day hire through to medium and long term hire. 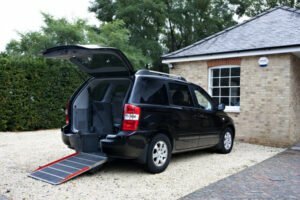 With a wide range of adapted cars including Nissan Micra, Ford Mondeo and BMW 3 series we then move to our Wheelchair Accessible Vehicles (WAV’s) which range from Renault Kangoo, VW Transporter through to the Peugeot Boxer which can carry up to 9 people.